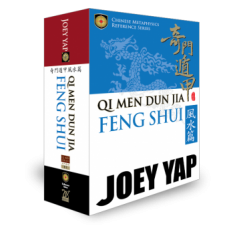 Boost your Feng Shui application with Qi Men Dun Jia to refine your assessment skill. Under the Feng Shui branch of Qi Men application, this system enables the practitioner to determine the House Qi influences on an occupant using a particular sector in the house, in relation to various scenarios in life. 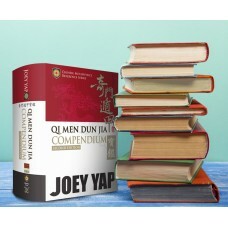 In this book, Joey Yap has put together all the Qi Men Feng Shui House Charts of the Nine Periods and presented them in a user-friendly format for your easy reference. No tedious House chart-plotting required. No time wasted. Simply "look up and refer" to get your Feng Shui assessment in an instant! 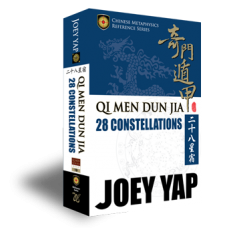 A brief history of Qi Men Dun Jia, and the components of plotting and assessing a Qi Men Feng Shui House Chart to help you get started. 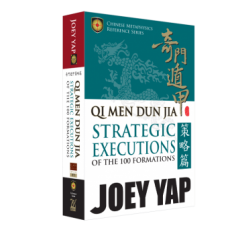 The complete set of Qi Men House Charts of the Upper, Middle and Lower Cycles for Periods 1 to 9 presented in an easy-to-understand format. The general forecasts according to the Stem effects on each of the 8 Doors, presented in an easy-to-understand format.